We also can add a pattern, design or border to your existing carpet or rug. Color Your Carpet® has just the right solution for your carpet and color needs. DESIGN YOUR VERY OWN CUSTOM CARPET!!! 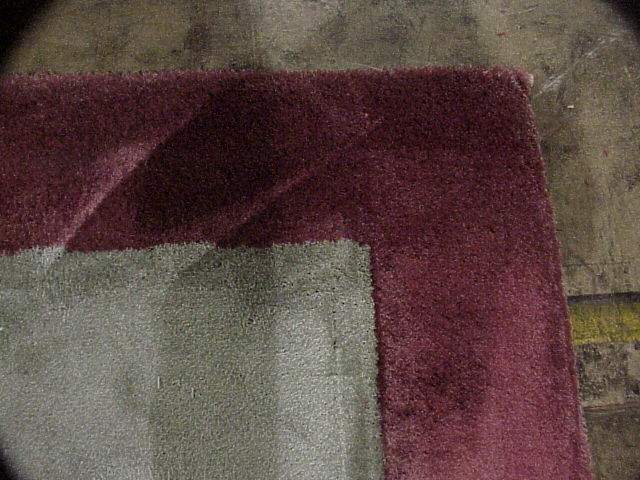 The photos below demonstrate that Color Your Carpet® is NOT limited to color restoration or solid color dyeing alone. Much like the prestigious New Zealand Feltex and Edward Fields carpet designs, but at a fraction of the cost, Color Your Carpet® can produce vibrant and exotic custom designs as well as demure and subtle carpet designs for every personal taste. Take a look below for a few ideas. The original factory color on this sample is an off-white, cream color, which we dyed to a variety of bright shades and at certain intersections you can see the results of the two or more colors combined. This carpet will be braided on the edges and used as a center piece for an artist's den room. Color Your Carpet® will create a new design for you or we can create a custom design from your artwork. We also can restore heirloom carpets and fine oriental rugs to their original colors or completely change the color(s) to suit your decorating changes. Color Your Carpet® can also apply designs, borders and patterns to existing wall-to-wall carpets. 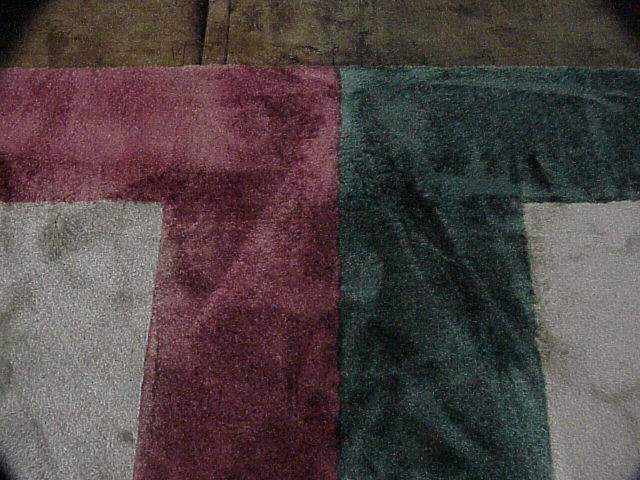 We can restore missing color, such as occurs in bleach stains or sun fading, or other unsightly discolorations (yes even in patterned or multi-color carpet). We can remove stains that have been "set" for years. Our expertise is in custom color creation and color matching. Our "ColorEngineering" process is almost unlimited in nature and scope of possibilities. We have a selection of more than 16 MILLION custom colors. Best of all, our unique services are very eco-friendly. 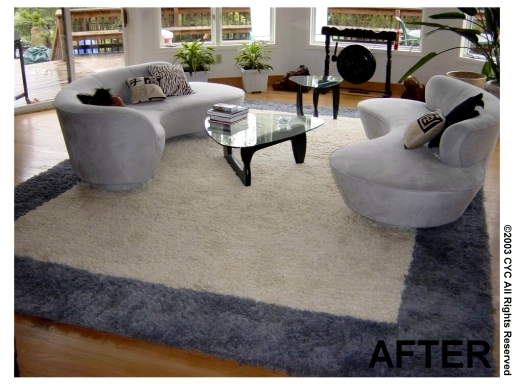 Our process is an innovative way to "Pre-Cycle" existing carpets and rugs. Therefore we are drastically reducing or eliminating tons of carpet that would otherwise be dumped in our landfills. Carpets don't wear out, they simply "UGLY-OUT". Color Your Carpet® services can protect, preserve, restore, renew and revive the beauty, life and color of your carpets and rugs. Sound to good to be true? Well, seeing is believing. Come see, we're sure you'll want to dye! And we're Dyeing to serve you. 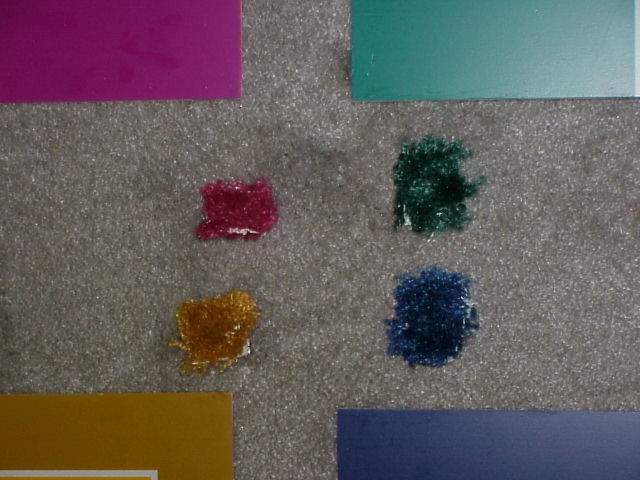 The second set of samples demonstrates that Color Your Carpet® can make a dramatic difference with a custom border. No one else can do this color magic! The original color on this set of examples was a light-off-white color. This was very costly and luxurious New Zealand wool rug. But, discoloration from stains, fading and traffic detracted from the elegant designer home. Often we are called as a last resort, after many attempts at cleaning services have failed. As you can see there were many "yellowish" and "brownish" pet stains along with general traffic lane discolorations and even some fading still very obvious left in the rug. 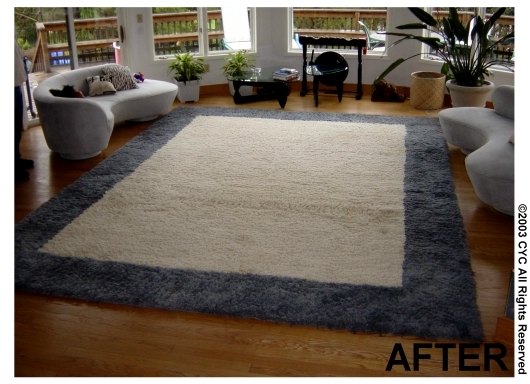 First, with our special dyeing techniques and proprietary dyes, we were able to "whiten" the rug, eliminating all discoloration. Next, the objective was to add a border to accent the room which had all white walls, furniture and a custom light wood floor. The owners choose a wide rich pewter gray. 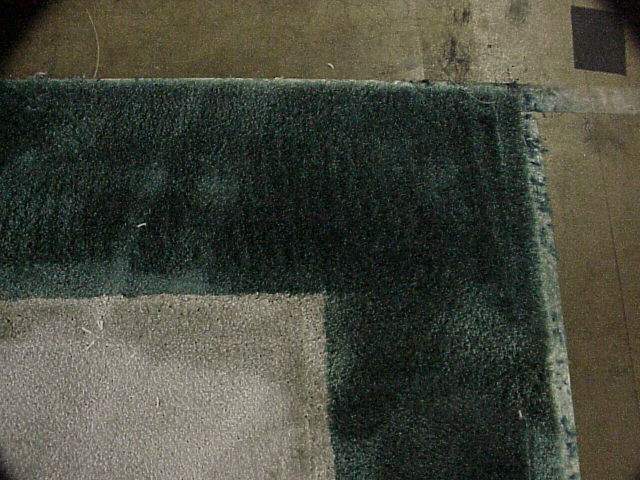 This photo displays the whole rug before furniture was replaced. Finally, with the furniture replaced, the prized custom rug is the intended focal point of the room. Looking showroom new, this unique rug creates the perfect frame for the owner's favorite room. This project was performed by our Dye Masters, who have many notable clients such as the Pope John Paul II Cultural Center, the National Art Gallery, the White House and many other prestigious commercial and residential property owners. 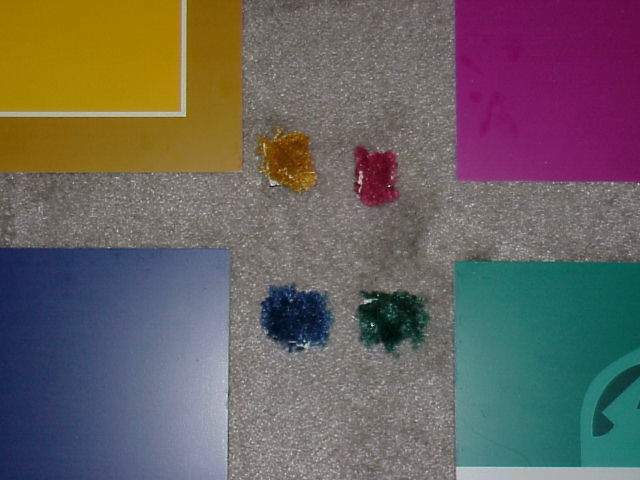 The third set of samples demonstrates that Color Your Carpet® can create custom artwork and logos. 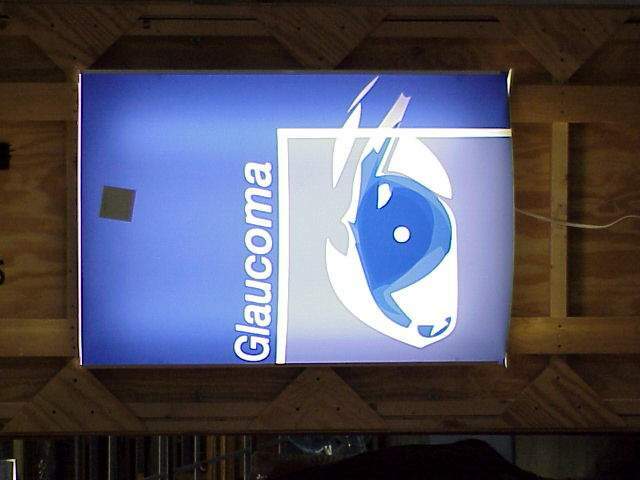 Using our logo here as an example, colors are applied using special custom templates one color at a time. This photo shows the finished show booth. 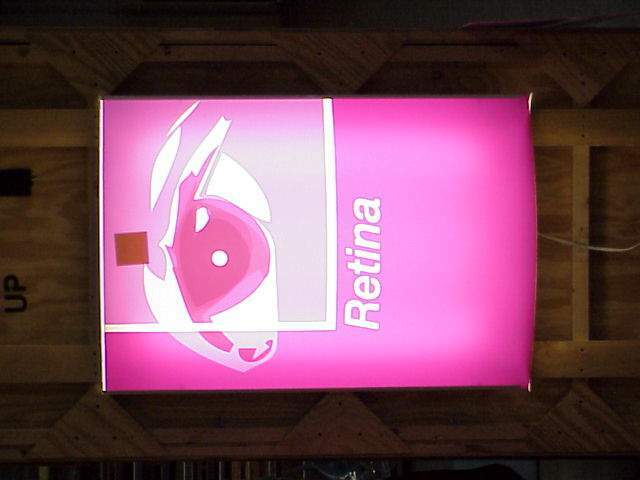 The logo and side signs were all custom made for our exhibition booth at a trade show. One of our Dye Masters created these custom logo rugs. 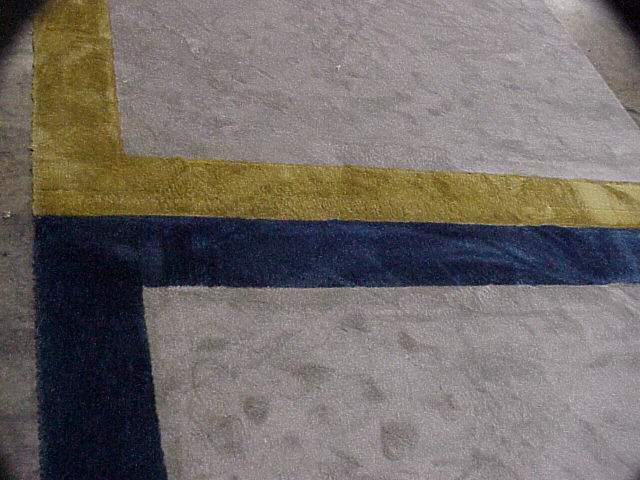 Call us for a consultation to discuss creating your custom logo on carpet. Trade show exhibit booths require a special design to draw the attention of the attendees. to one booth over another. 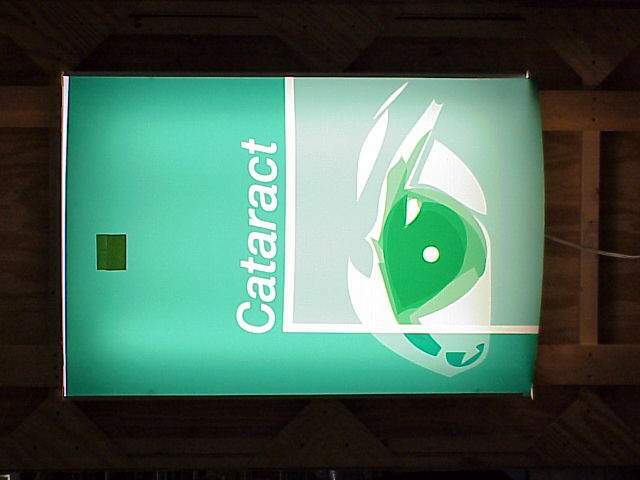 The booth design makes a statement about your company and is a remote off-site mini-sales office of your company. 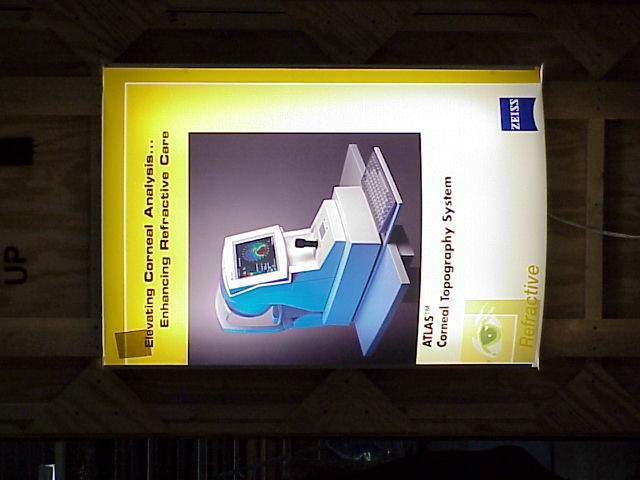 We have provided solutions for exhibiting companies by providing custom carpet designs for their booth. 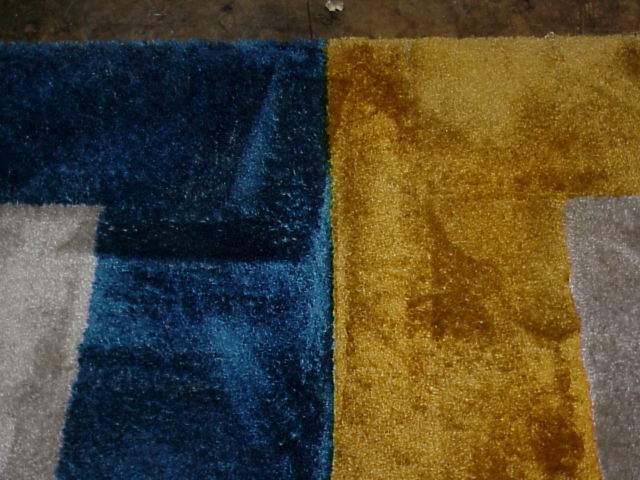 Below, the Zeiss companycolor of your carpet to a brand new color. In this case we changed the carpet from discolored, stained and faded light gray color to a "Hunter Green" to match the rest of the room decor. A characteristic of new carpet is that when brushed or vacuumed in one direction the light makes the carpet appear one color and when brushed in the opposite direction it appears to be a different shade of the same color. 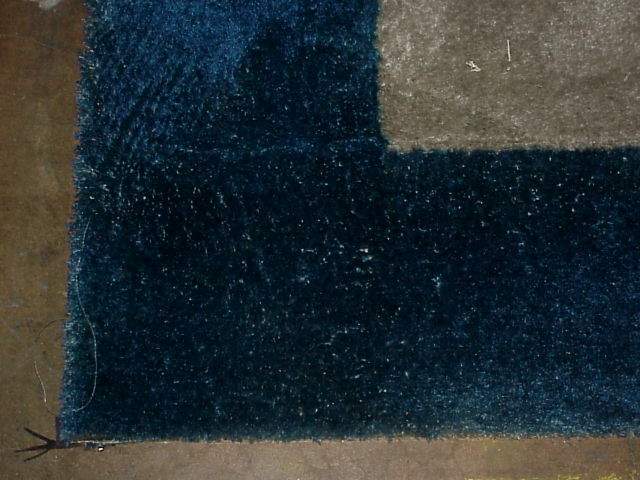 In the "before" photo, very little shading is seen, making the carpet look old and "ugly". However, the vacuum shading in the "after" photo shows the "like new" shading in the carpet after our process. The four finished booth carpets for the exhibit were 50 foot long by 10 foot wide. 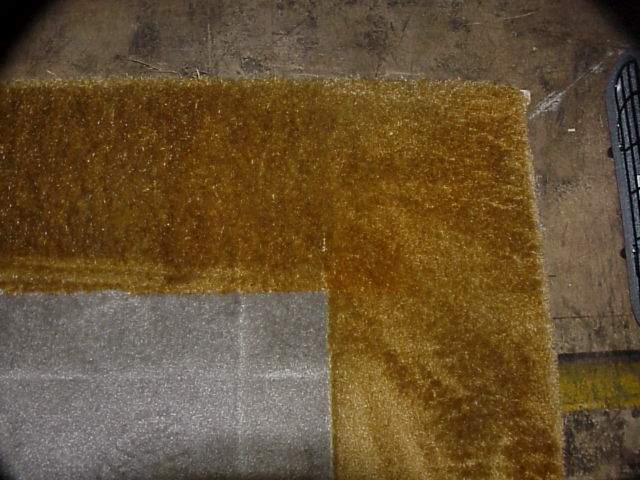 This project was performed by Color Your Carpet technicians and then shipped overseas to Europe for the Trade show. Send us a sample of your carpet design concept or your written idea of a custom design and we will respond with a proposal for creating your designer carpet. Another part of our service is correcting discolorations and removing stubborn stains (that until now, everyone else has told you couldn't be done!) from existing wall-to-wall carpets and area rugs.